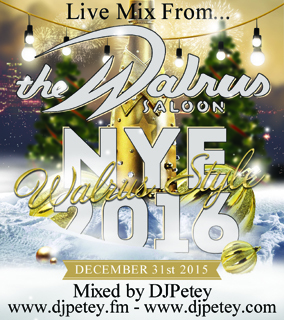 New Mix – Live from New Years Eve 2016 – MixTape | DJPetey.com!!! 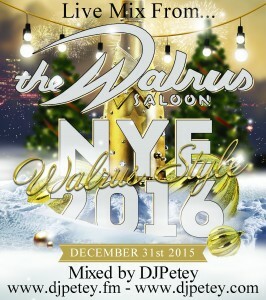 I took over Walrus for New Years Eve again this year with some help from the homie DJ Z-Staar. I recorded an hour of my set for those of you who were out of town and missed it. You can listen or download now by clicking HERE. As always, all of my mixes are hosted over at www.djpetey.fm so make sure and go back and check out some of my past stuff. Also, if are subscribed to my podcast, this mix should be in your itunes now. Hope you enjoy it. Thank you ALL for an incredible 2015. Welcome to 2016!